Easter Minions are out. I found these at Kroger. They are part of the Despicable Me Mega Construx series. There are only three mini figs in this series,Kevin, Bob, and an evil minion. Really the only thing new on these are the accessories. Kevin has an Easter Egg bowl, which doubles as a hat. he also has a spring of hair. Bob has basket and an egg or maybe a cupcake. The purple minion has a mini purple bunny. The limited parts make it easy to feel the bag and get all three figures without getting duplicates. They have a thin light blue 2×4 base. 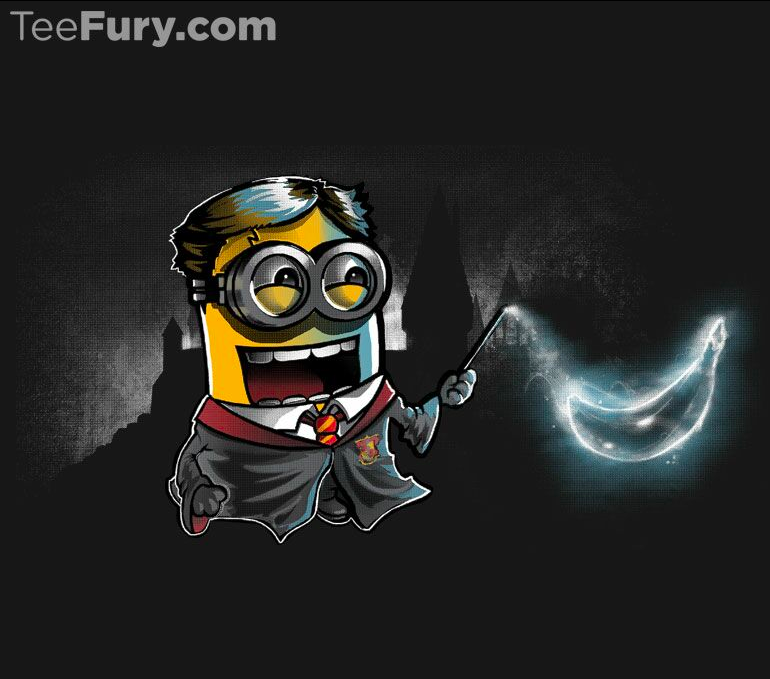 Kevin and the evil minion both have long torsos. Bob is not that much shorter than them so feel for the accessories. The bowl is fairly distinctive. It’s round and hollow. The purple minion can be found by its hair. You can feel something soft and not flat like the checklist. For Bob feel for the basket. It is narrow unlike the bowl. So will you add these to your collection? Hey I found some thing cool at Target valentines Minions. 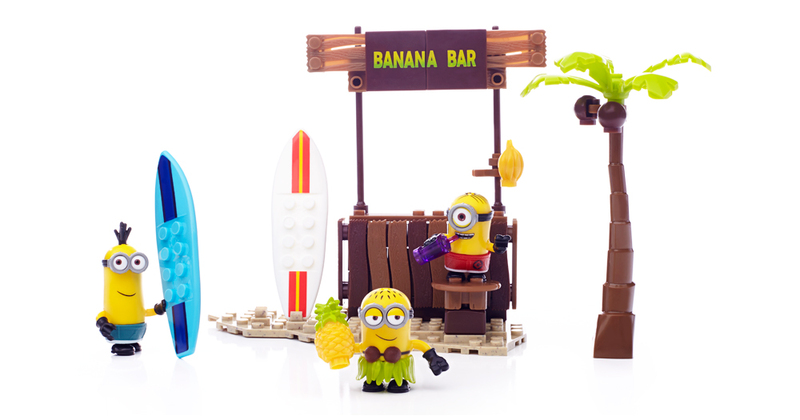 These are part of the Despicable Me Mega Blok series. There are only two in this series Kevin and Bob. Really the only thing on these are the accessories. Kevin has an “I’m with Cupid” sign and Bob has wings, bow and arrow. The limited parts make it easy to feel the bag and get both figures with getting duplicates. Both come with a red 2×4 brick. Feel for the accessories. The sign is a square all sides the same length, and it is thin. If you find a square it’s Kevin no square it’s Bob. The wings are squishy in the bag and the arrow is just a stick. You might try feeling for the body size of the minions but may confuse the brick for Kevin long torso. So will you add these to your collection? Give as a gift tomorrow? Yep last-minute cause I found them at the last-minute. 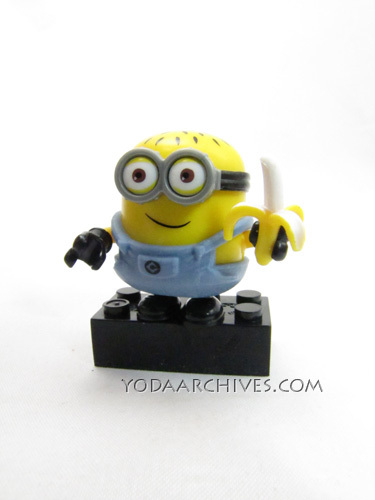 Another Minions Surprise Minion minifig. 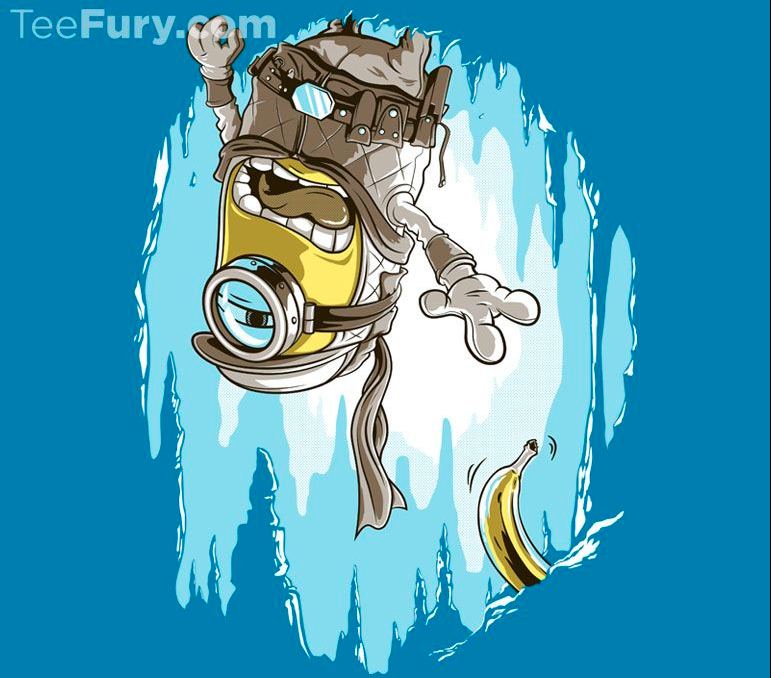 July 27, 2015 | Categories: Action Figures, Super Hereos | Tags: blind bags, Despicable Me, LEGO, Minion Monday, minions, Surprise Minion, The Minions, the minions movie | Comments Off on Monarch Minion Monday! 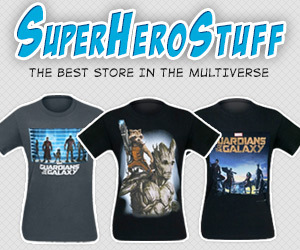 Teefury: Limited Edition $11 tees! Available May 12. Some Harry Potter themed Tees today. 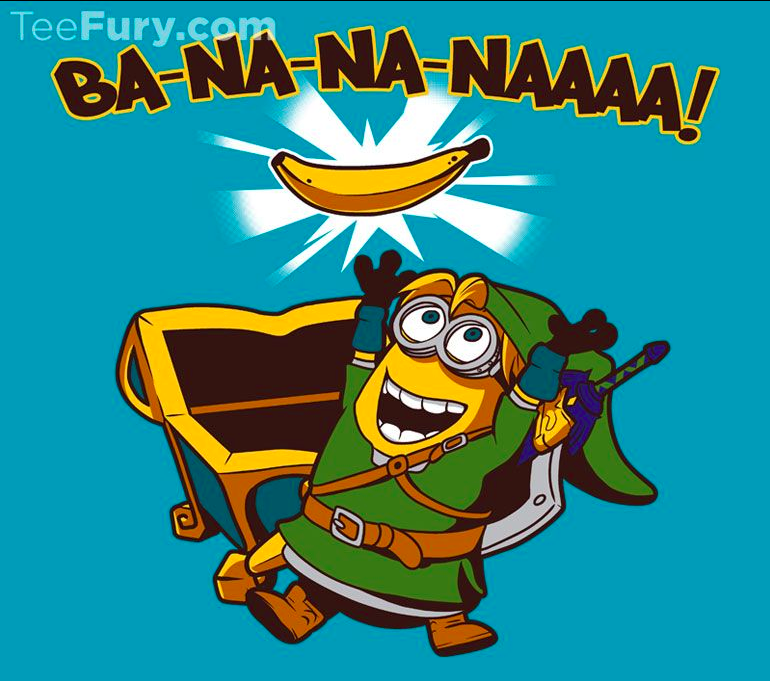 More cool shirts this week. Thursday and Friday could be expensive for me. 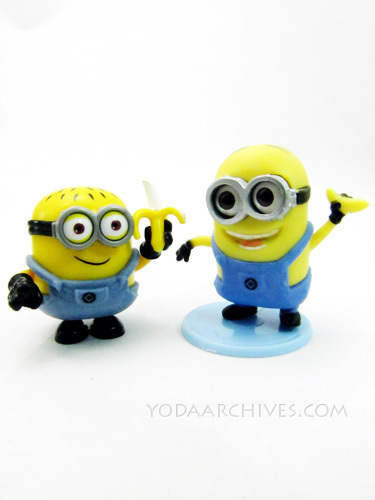 There are more minion surprise figures! I found blind bags at Target. They scanned for $2.39. I don’t know if that’s normal retail or not. I guess they will be $2.99 since $2.39 is an odd place. 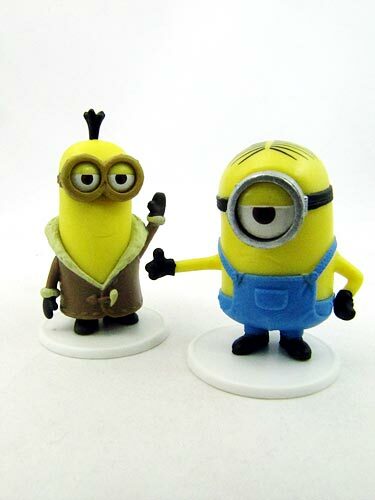 They are Minion Movie figures. 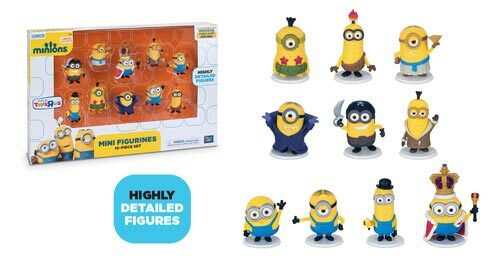 They are packed like previous Minions surprise packs with and card that covers the figures so you can’t determine which figure is inside. Some of the figures have odd shape costume so that may help find a few of them but overall it looks like random luck. The Minions come with a white base. Since the movie is their search for a leader, they didn’t include the blue base with Gru’s logo. There are some in a Toys R Us boxed set but this is just a few from the collection. There will be three packs sets. With movie backgrounds some of these are in the blinds bags but not all. It looks like the sets have at least one of the blind figs. 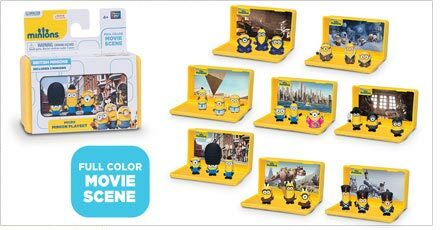 May 11, 2015 | Categories: Action Figures, Super Hereos | Tags: blind bags, Despicable Me, gru, minions, Surprise Minion | Comments Off on Minions Movie Surprise Figures! 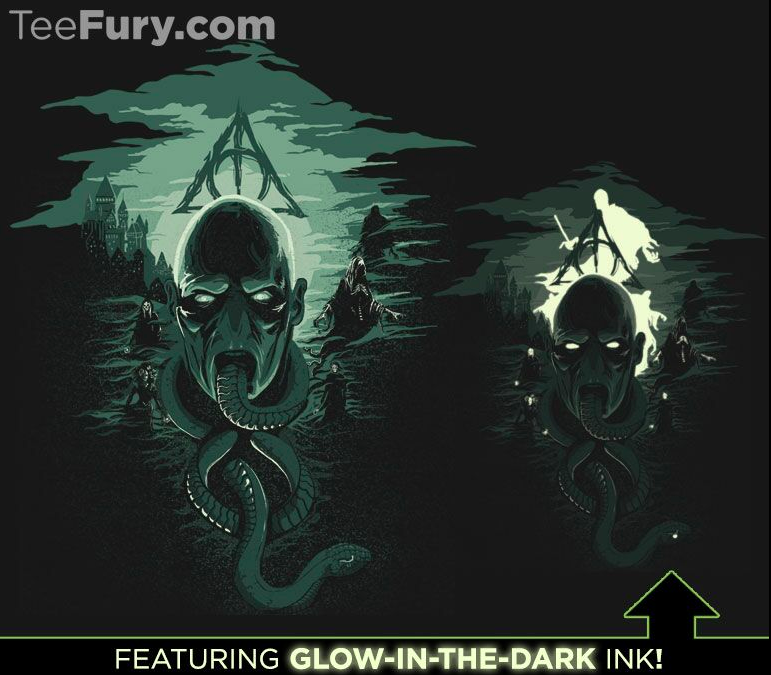 Teefury: Limited Edition $11 tees! Available April 19. The figures look great. They are molded in color with just a little bit of paint for the hair. The goggles, overalls and banana are soft plastic. The goggles really give it personality when they are snapped on to the figure. The legs are hard to snap into place. The arms are a little easier but you have to force them into place. Mega Bloks says you can mix and match arms and feet but I don’t see that happening much if it’s this hard to snap them into place. Sometimes when running a blog you learn about stuff via your readers. That what has happened in this case. Last month “Mega block minions blind bags” appeared as a search term in my stats. That’s pretty specific and different from the Thinkway toys blind bags. 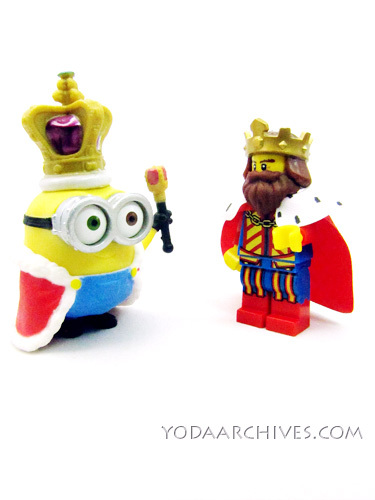 I ran a search and found out that Mega bloks does have megabloks minion minifigures. I saw one big set a few days later, but no more till this week. I have found the playsets at Target and Toys R Us. Today I finally found the minifigs. I got a figure and a set. I’ll do a full review in a few days. Short review for now The figure I got looks great. 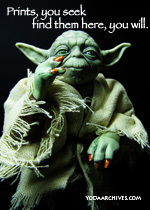 It’s molded in color with just a little bit of paint for the hair. The goggles, overalls and banana are soft plastic. The goggles really give it personality when they are snapped on to the figure. The legs and arms are hard to snap into place. You have to have them lined up just right. The say you can mix and match arms and feet but I don’t see that happening much if it’s this hard to snap them into place. Mega Blok’s Description of the toys. 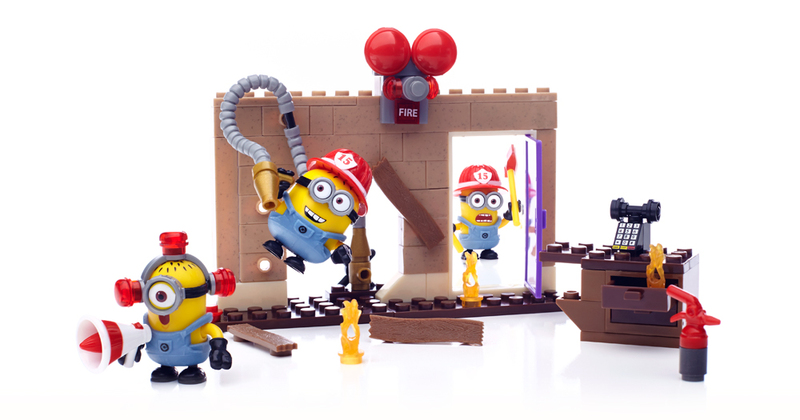 Everyone’s favorite Minions are about to unleash some major chaos with the Mega Bloks Despicable Me™ Buildable Minion Blind Packs Series I packs. 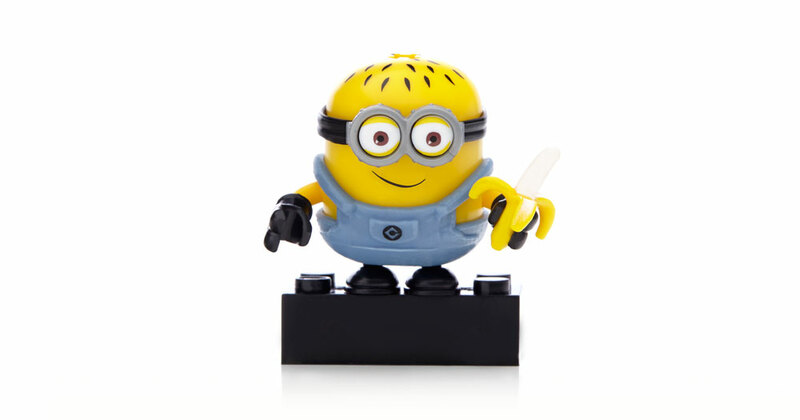 Build your own loyal following and collect six popular Minion characters. They come in a blind pack, so you never know which one you will get. 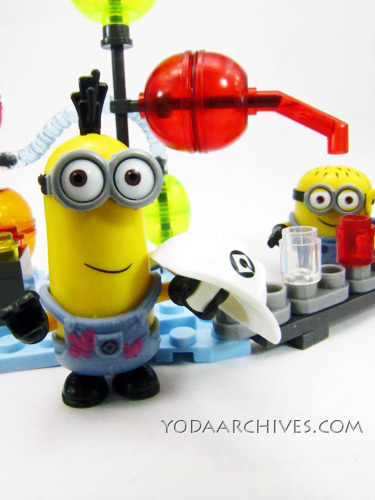 You can customize your Minions and mix and match overalls, goggles, accessories, even arms and feet. Collect them all to build your own mischief! 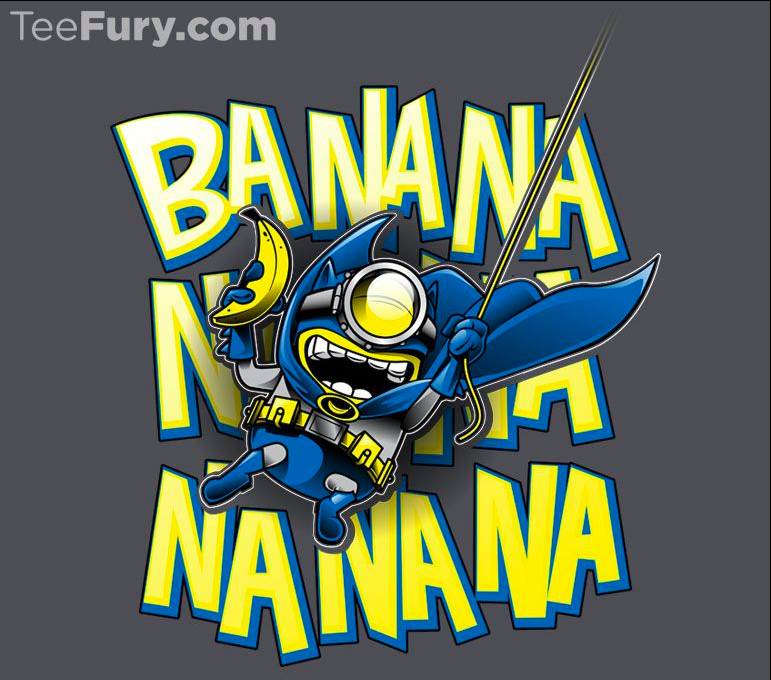 At TeeFury December 22th only! $11 each.